Children can now interact with the new Star Wars Toyshirt. A Shirt that is also a Toy. This unique concept was created by Fashion UK and allows children to pull a tab to reveal additional designs on the Shirt. It’s ideal for kids. 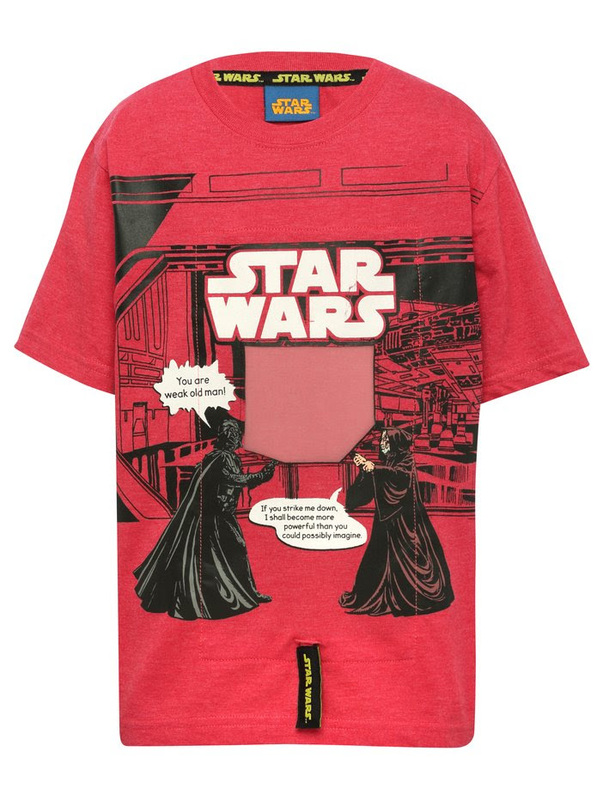 Give the little one’s wardrobe a playful twist with this super cool Star Wars themed Toyshirt. Boasting short sleeves and a cartoon image of Darth Vader and Obi-Wan Kenobi caught in a battle and when the tab is pulled it reveals the clash of their lightsabers, they will be entertained for hours. 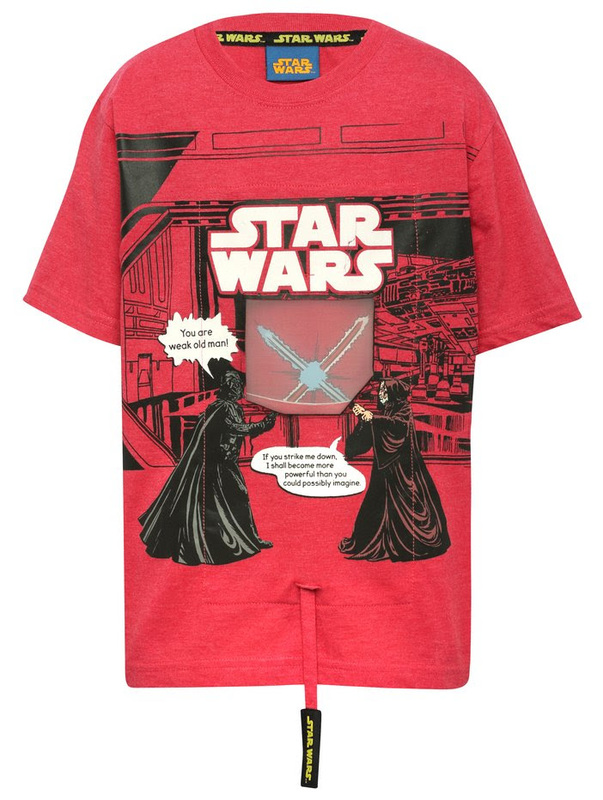 The Star Wars Toyshirt is available at M&CO for just £12 and available in sizes from 5 to 13 years.